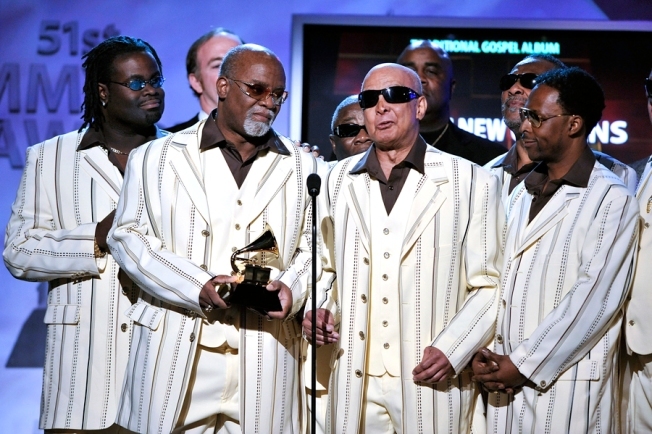 Musical group the Blind Boys of Alabama accepting the Best Traditional Gospel Album for "Down In New Orleans" in 2009. After the blast that was Monday night's sold-out Belly Up show with the Growlers, I'd really recommend getting your tickets online or this one could sell out, too. But since I keep gushing about them, I'd also like to point out that there are plenty of great shows around town on Tuesday. The legendary Blind Boys of Alabama perform their annual Christmas Show, this time at the California Center for the Arts. The Casbah continues the monthly MC Battle Bot series hosted by DJ Artistic, and Grizzly Business rock out at The Merrow. If you're a serious grown-up with only sophisticated musical tastes, this is your night with Dave Koz & Friends at Balboa Theatre.